Fresh out of college, Keith Hines exuded confidence, according to an account from his rookie league manager in Sports Illustrated. Garth Iorg, using Hines' nickname 'Fatha,' recounted to SI Hines' start with the club. "I had to tell Fatha he wasn't going to be starting the first game, and he said, 'But, Skip, I have to get to Double A,'" Iorg told SI in a feature on the low-minors team published in July 1990. "I told him that he might get there next year if he worked hard. And he said, 'I don't mean next year, Skip. I mean next week.'" Hines stayed at Medicine Hat all year that year. He made it to short-season in 1991, then single-A in 1992. Hines played a total of four seasons as a pro. He never made AA. Hines' career began that year in 1990, taken by the Blue Jays in the 34th round of the draft out of Chipola College in Florida. Hines started with Medicine Hat, getting into 38 games that first summer. He hit .262, with three home runs and 14 RBI. He reached on an error and scored in an early July game. 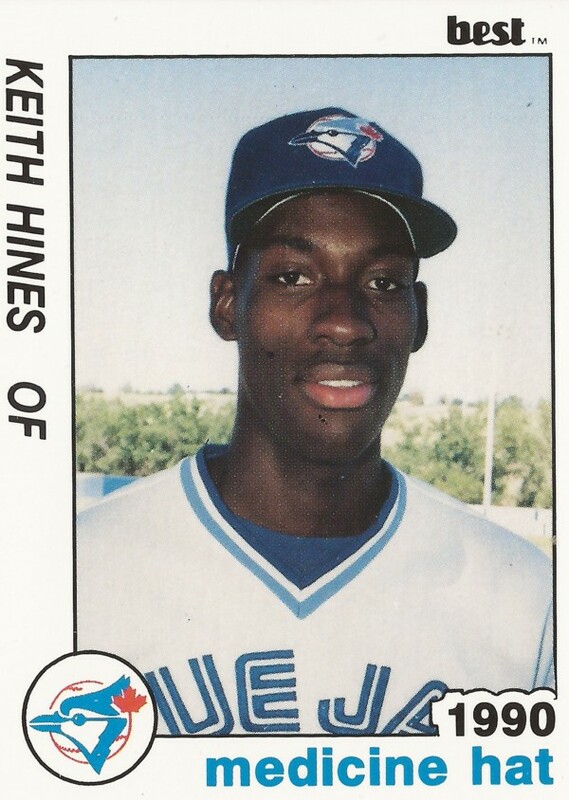 Hines moved to short-season St. Catharines for 1991, getting into 73 games there. He hit .237. He returned to St. Catharines briefly in 1992, also getting time at single-A Myrtle Beach. He hit just .181 between them. Hines played 1993 between single-A Hagerstown and high-A Dunedin. In 104 games on the year, he hit .226, ending his career.